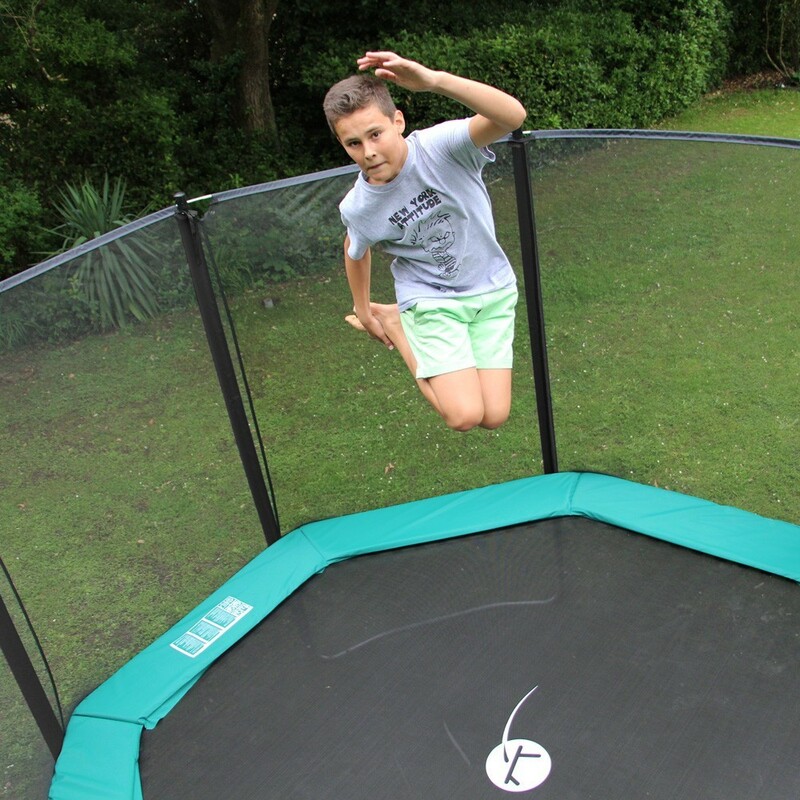 The Waouuh 360 octagonal trampoline with premium safety enclosure is designed for thrill-seeking children and teens. 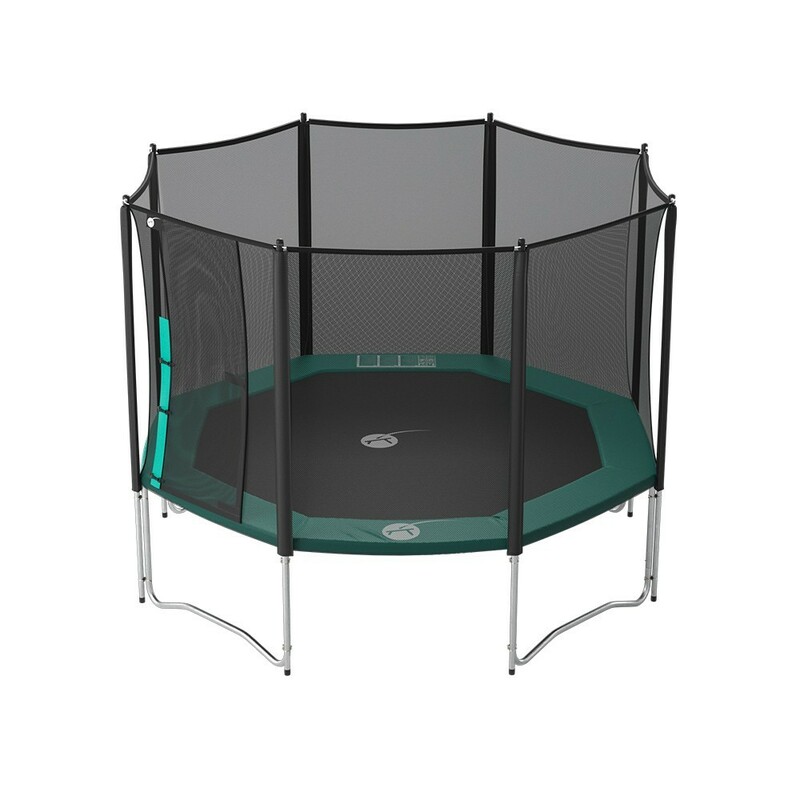 Its original design combines robustness and power for family and athletic use. 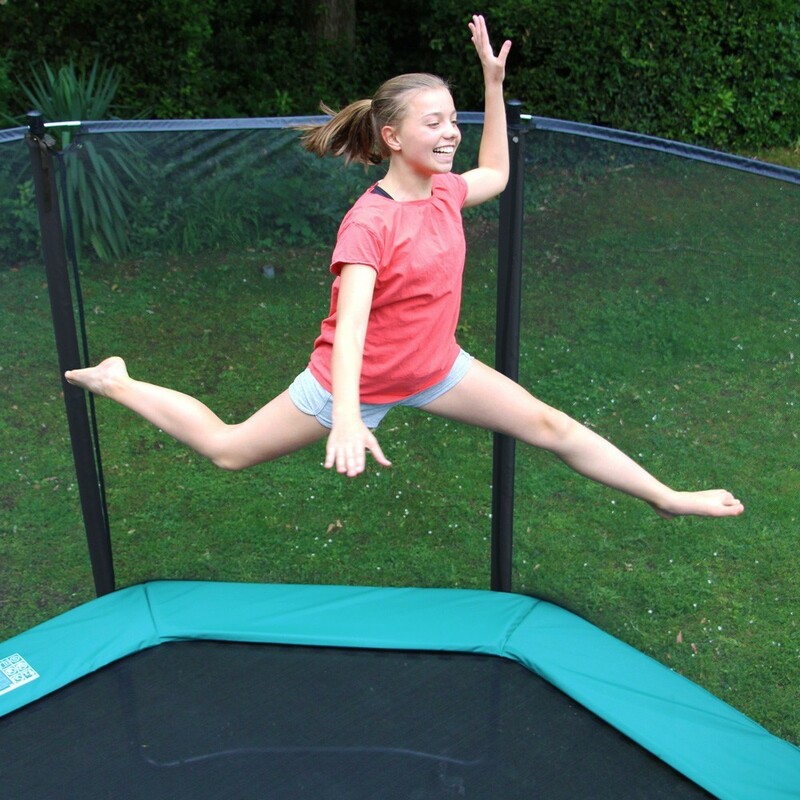 - This quality trampoline can withstand up to 170 kg, and fits perfectly in an average-sized garden. 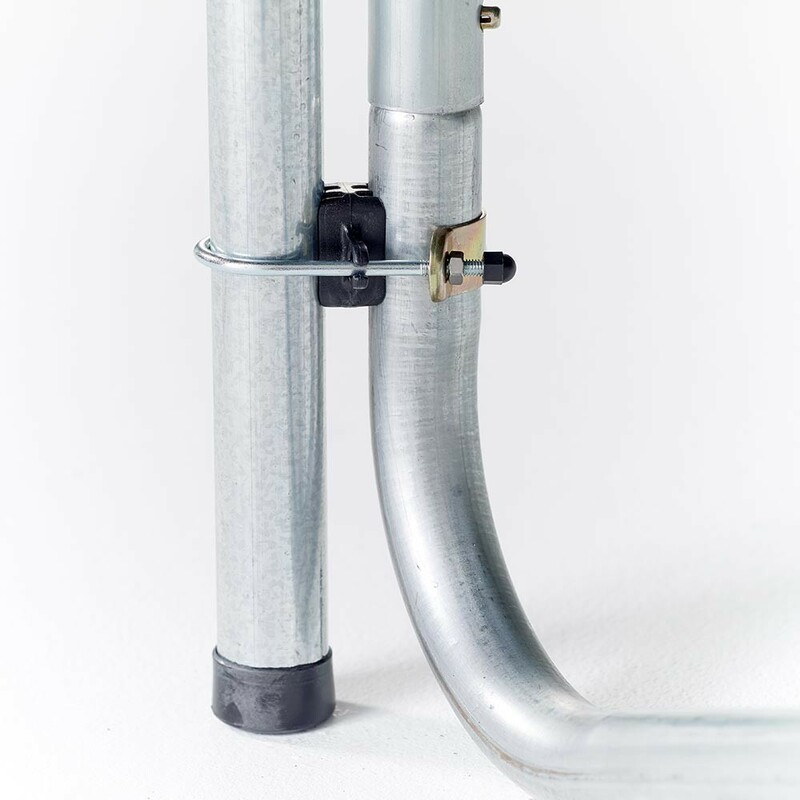 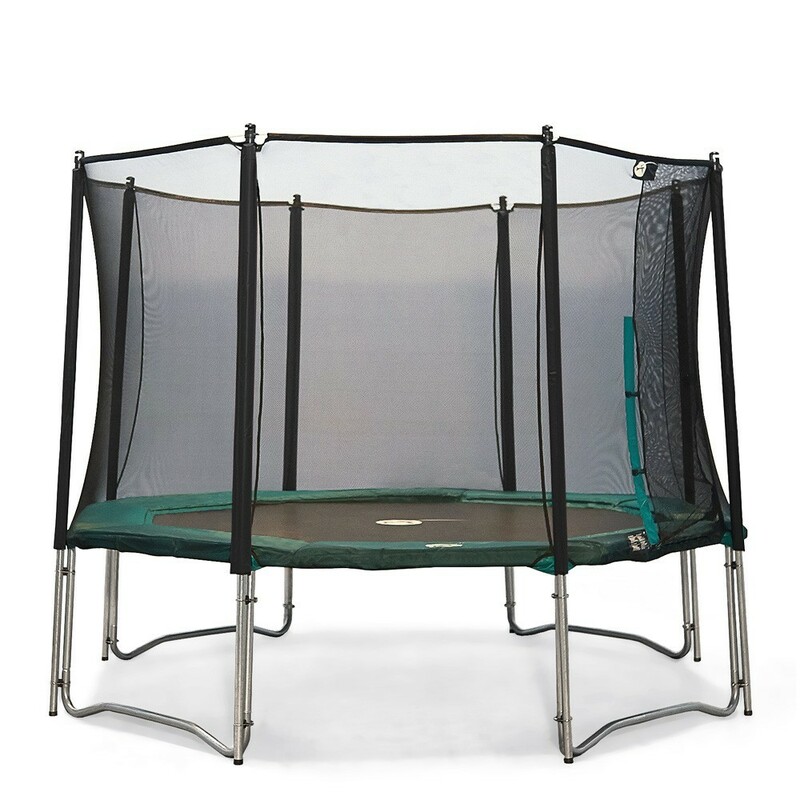 The trampoline frame is made of hot-dipped galvanized steel to stand up to harsh weather, and so remain outdoors all year long. 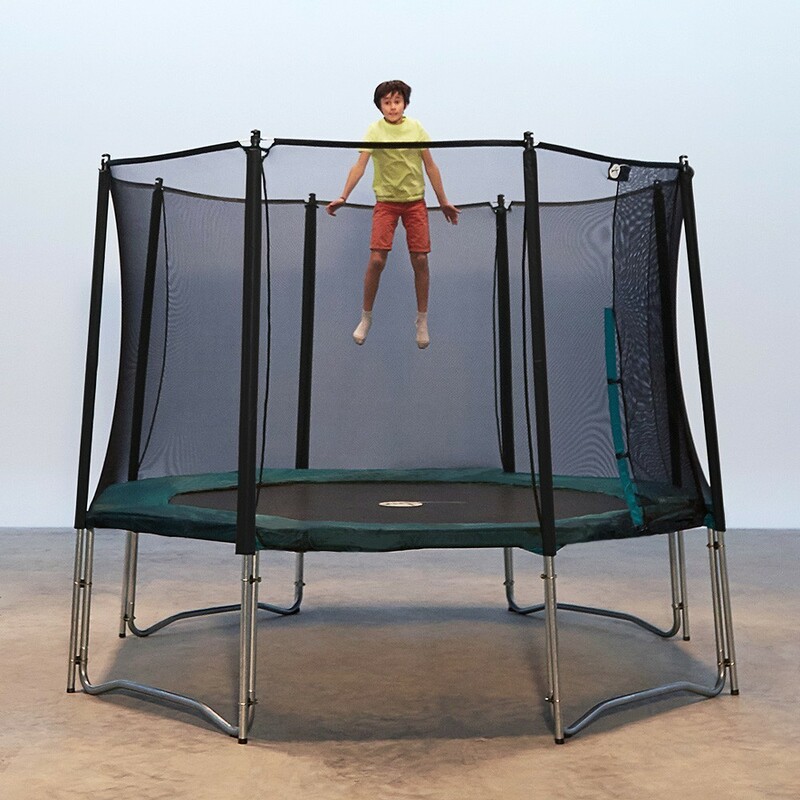 - Its octagonal shape means that the springs are positioned across from one another for more dynamic, regular jumps. 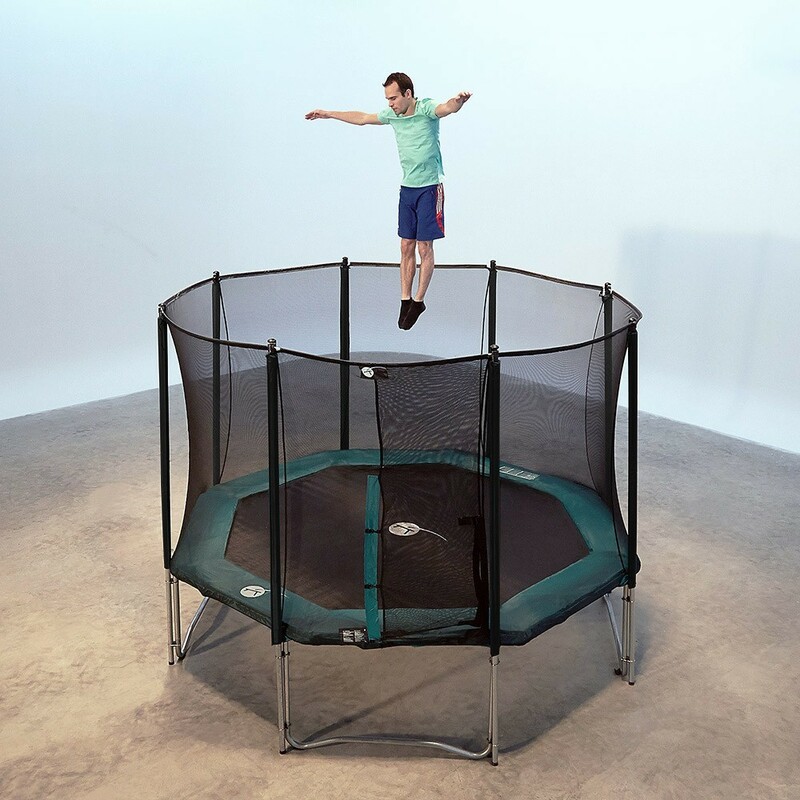 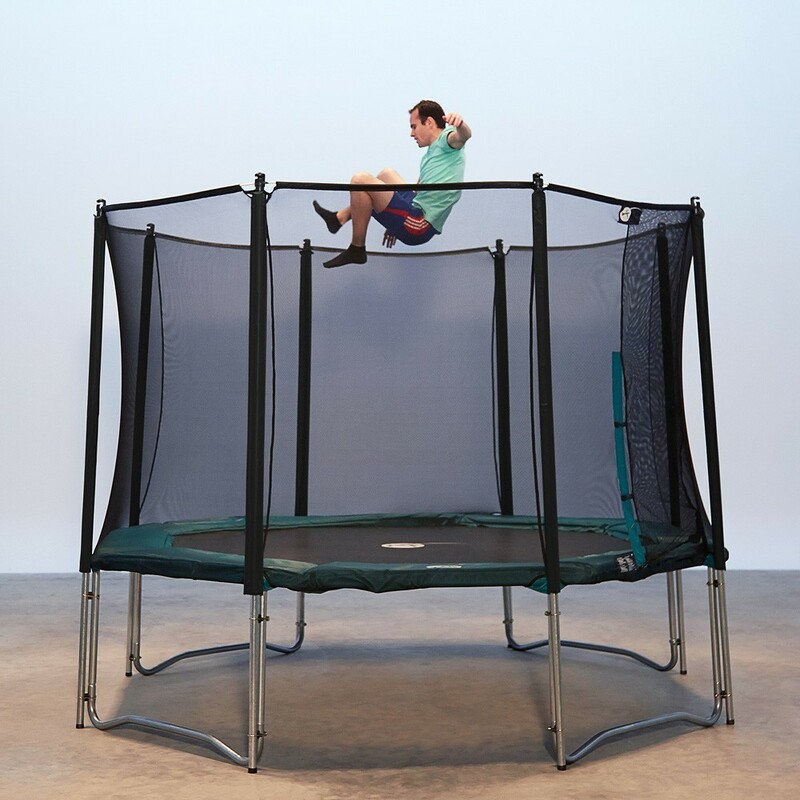 The jumper does not automatically land in the center of the jumping mat, as is the case with a round trampoline. 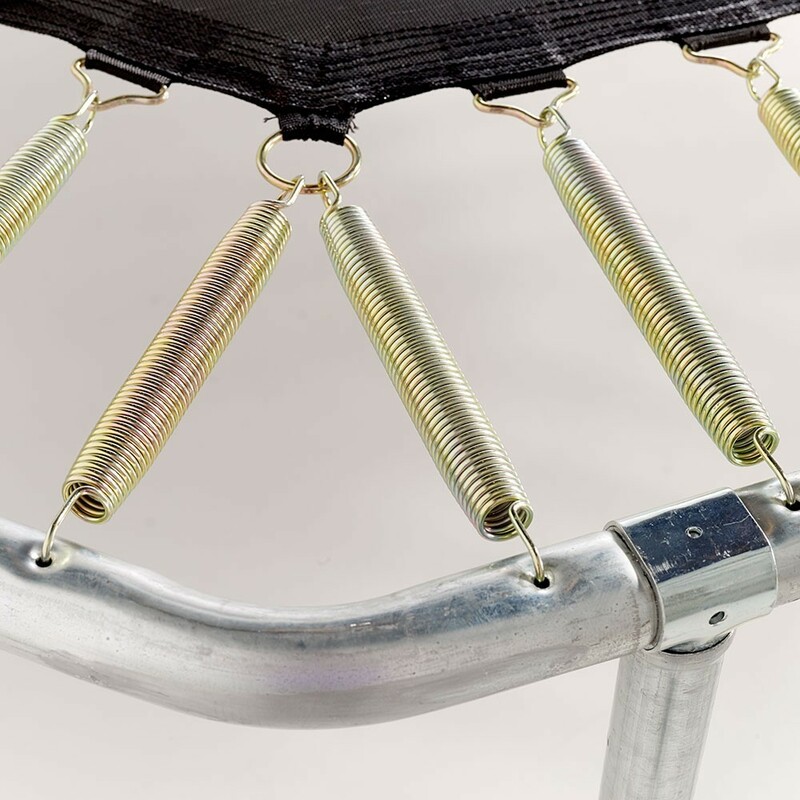 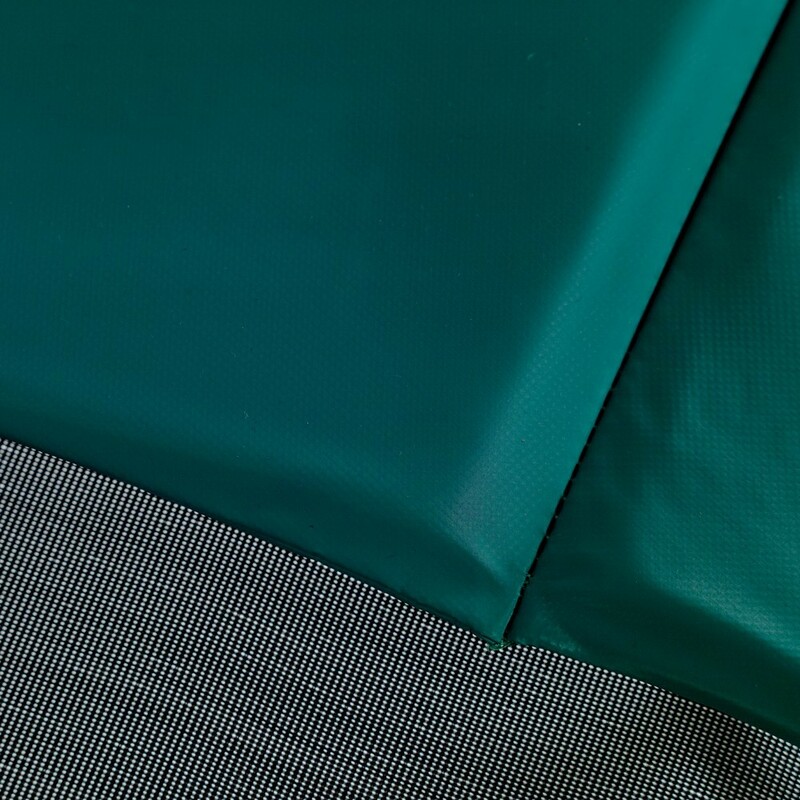 - The trampoline frame pad is made of thick, EPE monobloc foam covered in waterproof, high-density PVC. 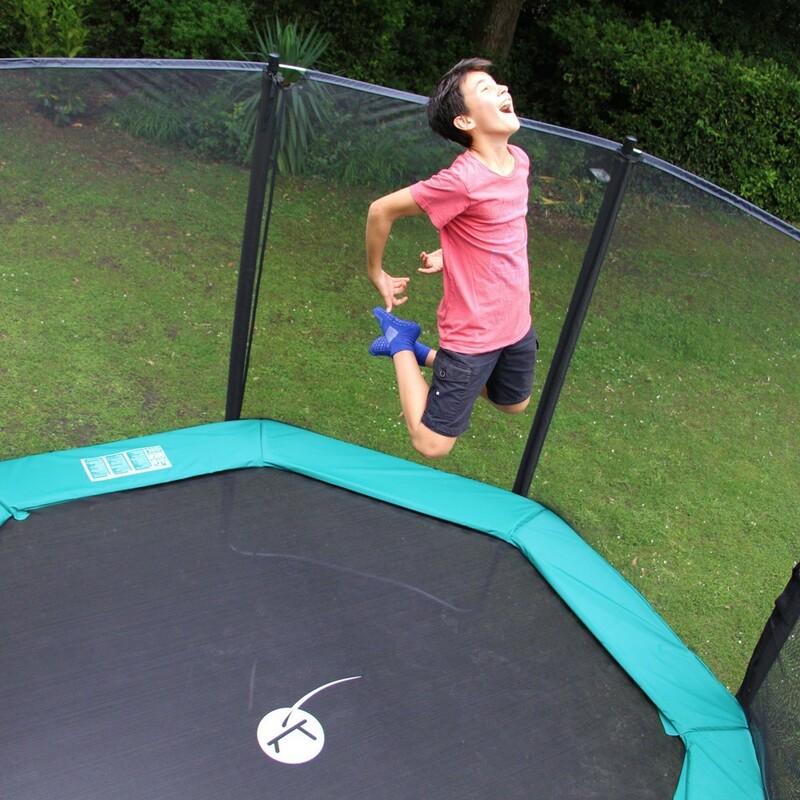 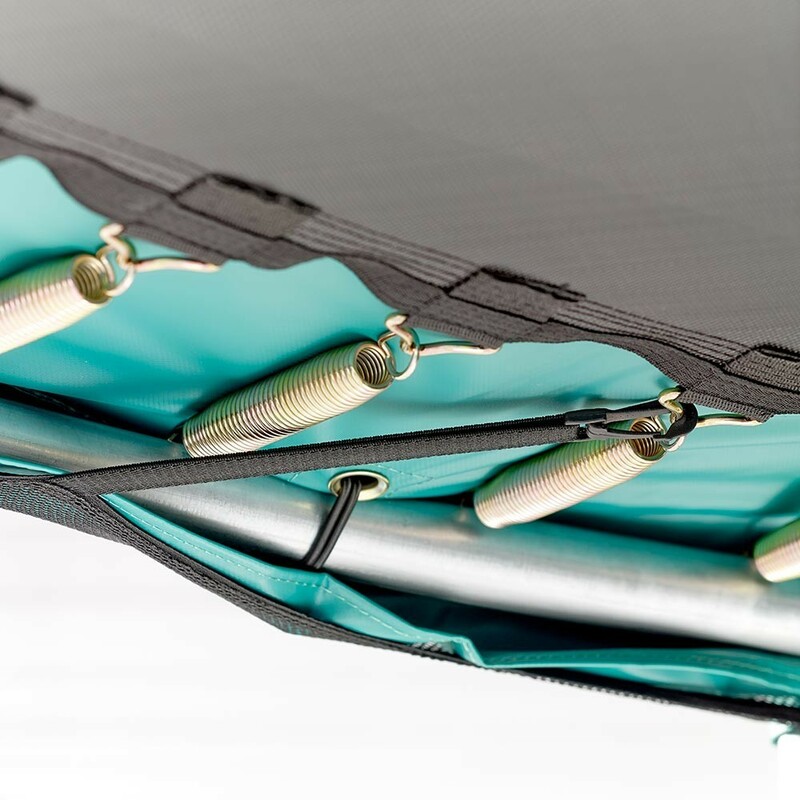 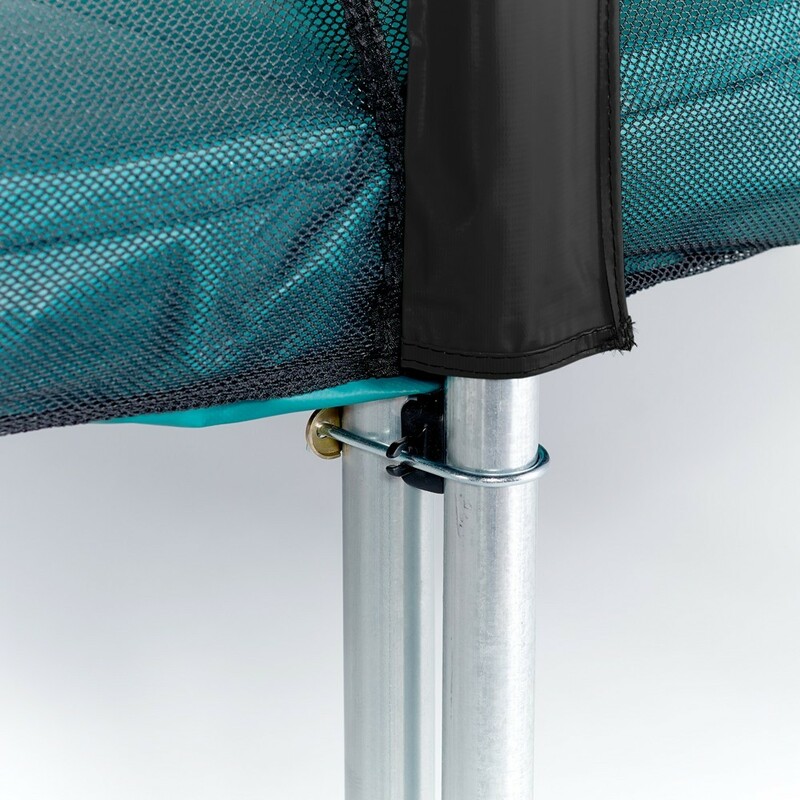 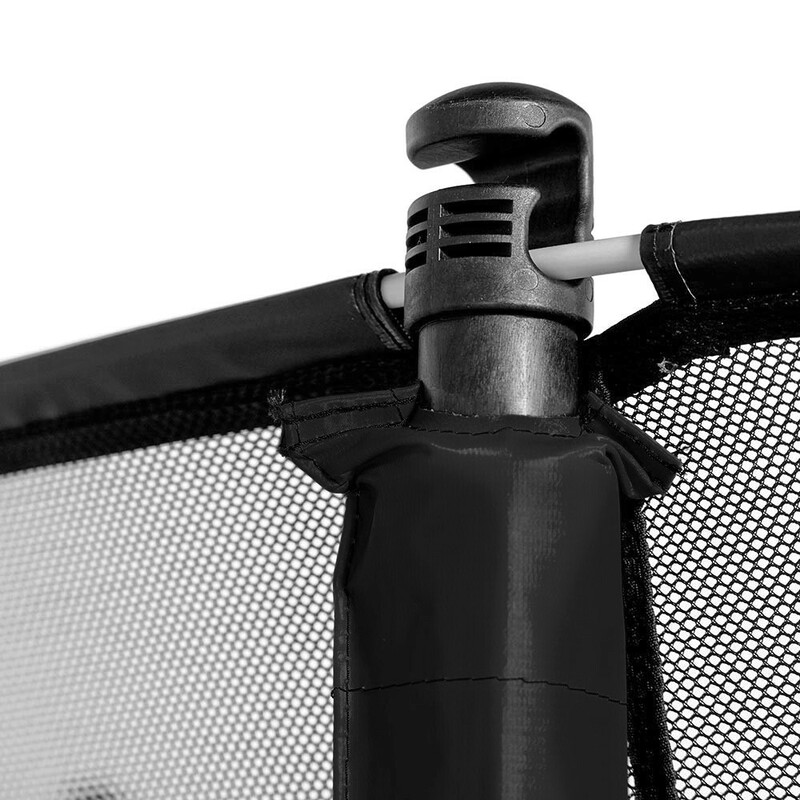 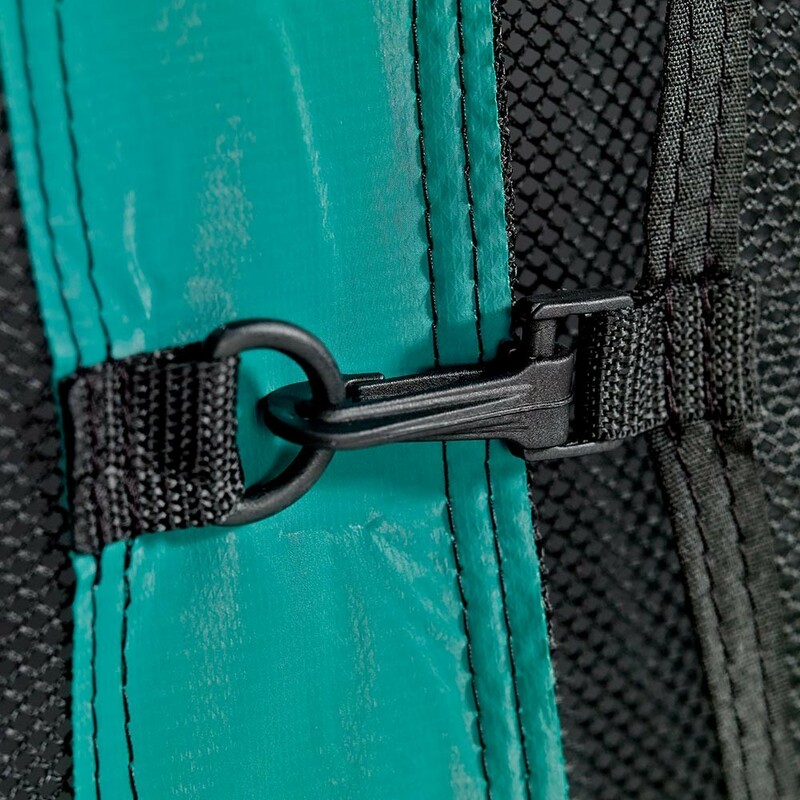 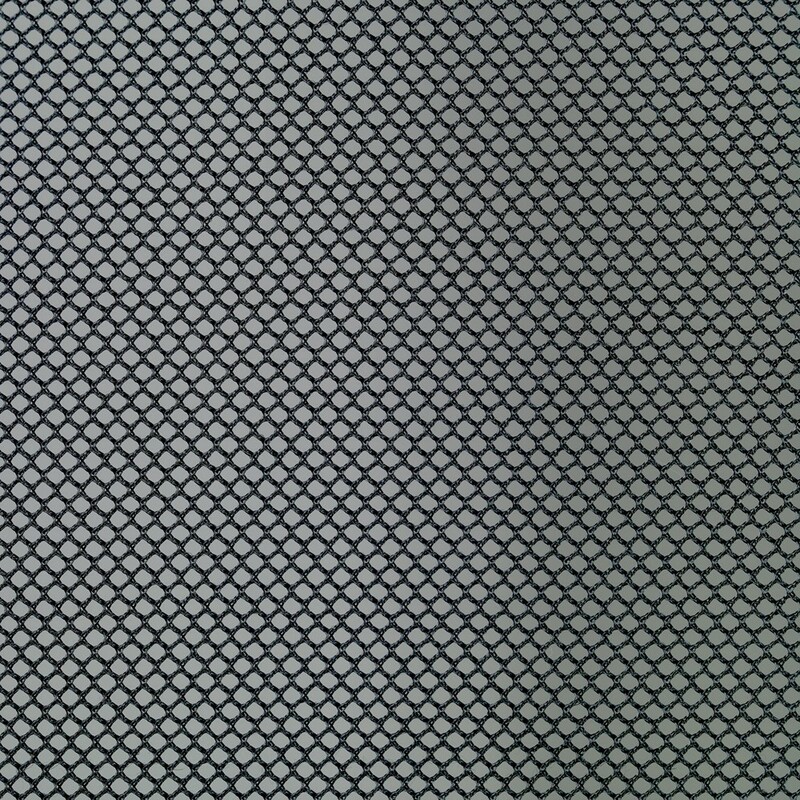 - The Premium safety enclosure of the trampoline is made of double polyester mesh that opens with a Velcro strip and clip hooks. 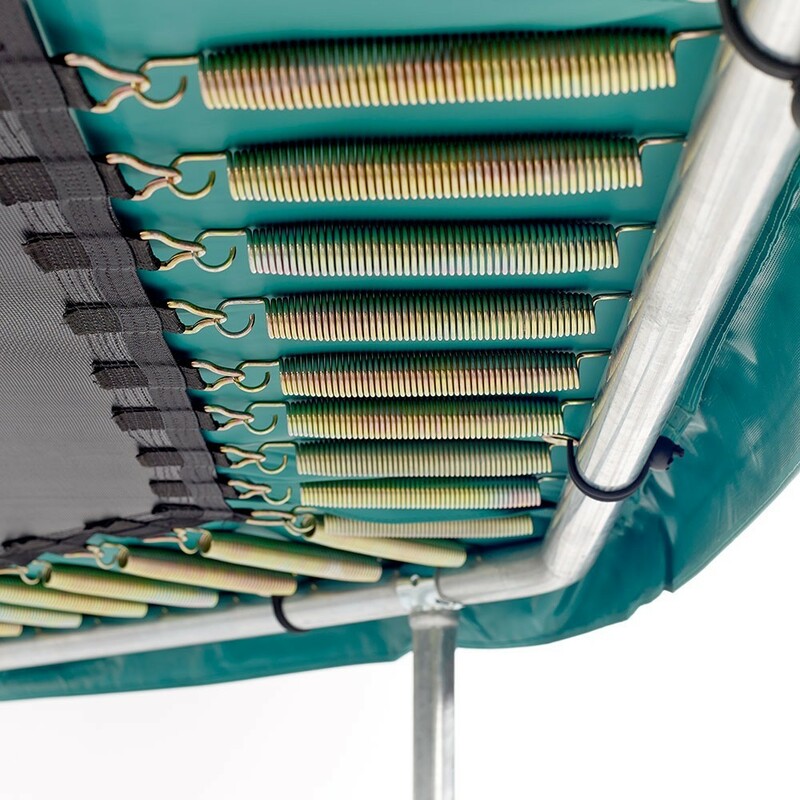 It is maintained with fiberglass rods and 38-mm net posts, which are among the market's largest.